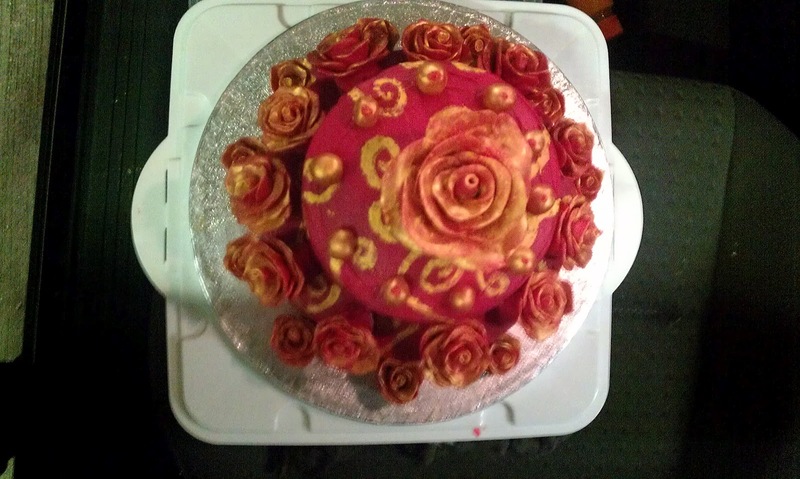 This one was made at about the same time as I made the Two Tier White Chocolate Ganache, Swirls and Chocolate Roses for my Auntie. 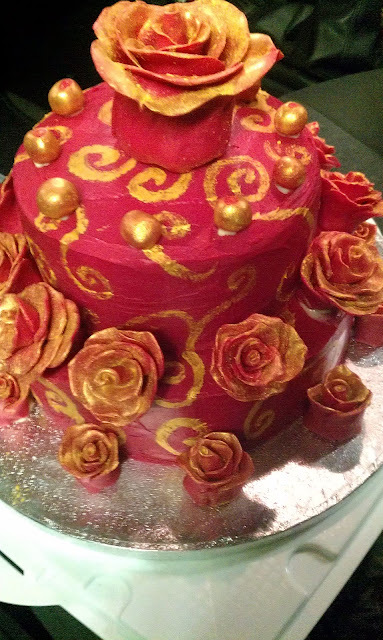 The two cakes were based on a similar concept, both using the tiers and chocolate roses, but with a very different colour scheme and some slight alterations between the two to make two very unique cakes. This was so much fun to make! I made the same sponges as in the white chocolate ganache, green swirly cake, and also used white chocolate ganache to sandwhich the sponges, and coat the two tiers. However this time I dyed the ganache the beautiful deep red colour you see in the pictures. I also made an army of red-dyed white chocolate roses to decorate. 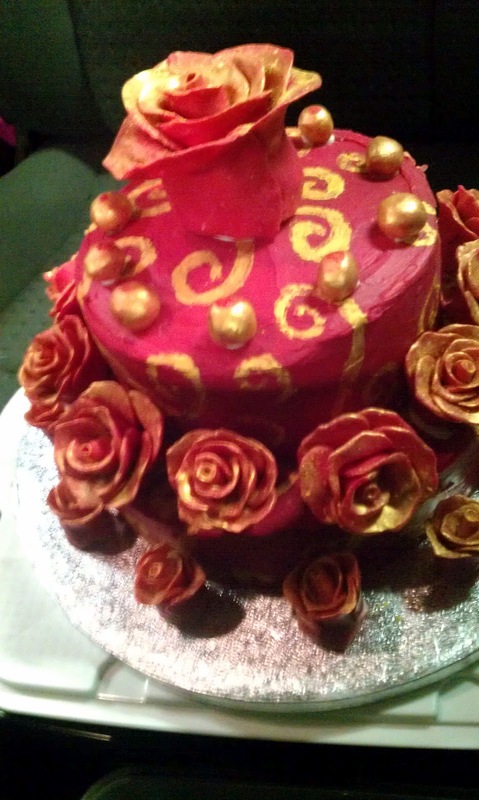 The swirls on the body of the cake are made with sugar glitter dust mixed with a dribble of vodka to make it into a paint, which I then used a paintbrush to swirl onto the cake tiers. I dusted the edges of the red white chocolate roses with the glitter also, to make them look gold edged. Finally I made some little balls out of the red chocolate, and dusted these with gold too. Once I had put all the pieces together this was the result. My friend loved her birthday cake, and her 5 year old daughter I think, loved it even more!